Erectile dysfunction (ED) is a common problem in men who have diabetes. However, ED assessment is often overlooked in primary care. 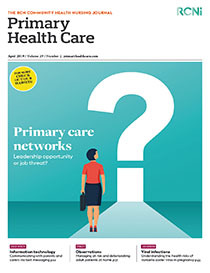 This article explores the barriers to assessing ED in primary care and possible solutions practice nurses can use to overcome them.